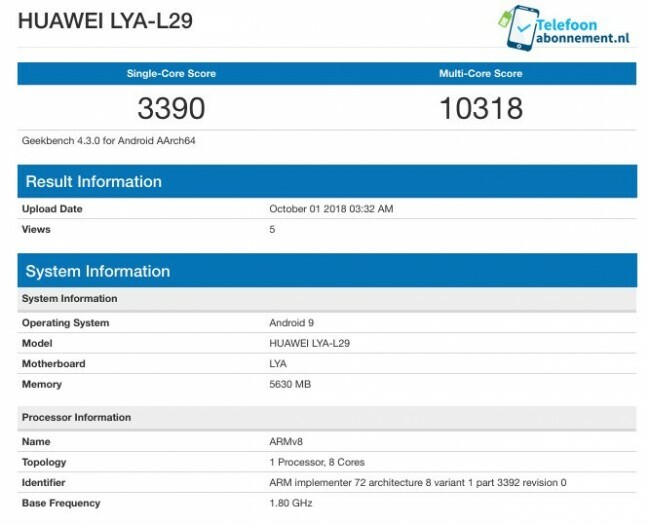 A Huawei device with the codename LYA-L29 has been spotted on Geekbench running Android 9 with an eight core processor and 6GB of RAM. 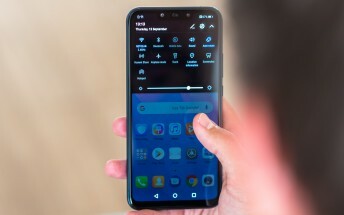 Taking into account the latest Android version and the score, we believe this is the Huawei Mate 20 or Mate 20 Pro, both of which will run Huawei's Kirin 980 chipset. The chipset managed to achieve a single-core result of 3,390 and a multi-core score of 10,318. The multi-core result managed to outdo all Android competition but stops shy of the iPhone XS' 11,472. We've seen similar results from the Kirin 980 in AnTuTu, where it once again beat its Android rivals comfortably. Huawei will unveil its Mate 20 and Mate 20 Pro (maybe a Mate 20 Porsche Design too) on October 16.